Back in 1900, when the Constitution was adopted, there was no way that the United Kingdom, Canada, New Zealand or other realms of the British Crown could be regarded as a ‘’foreign power ‘’. So what happened on the way to recent decisions that led to the disqualification of members of the Federal Parliament, and in particular those who were nationals of the United Kingdom, Canada and New Zealand? It is a truth universally acknowledged that most humans, in possession of a good environment, must be in want of development of it. The development of the environment benefits some, burdens others and bypasses many. The distribution of the benefits and burdens of developing the environment raises issues of equity. The notion of equity concerns evenness, fairness and justice. The members of the community of justice comprise people of the present generation, people of future generations and non-human nature, present and future. Extending equity to these members involves intra-generational equity, inter-generational equity and inter-species equity. These three principles of equity fix not only the process of decision making concerning development of the environment but also the results of decision making. The results include maintaining a healthy, diverse and productive environment, now and in the future. The three principles of equity call for distributive justice, which is to be achieved by according procedural justice: a fair result reached by a fair process. This is what equity has to do with the environment. In 1992, the legal recognition of the on-going existence of native title by the High Court in the Mabo decision was a watershed moment for Australia, finally freeing the country from the legal doctrine of ‘terra nullius’. For Indigenous Australians there was hope of positive change and empowerment, politically and economically. But terra nullius is also a state of mind, as well as a legal doctrine, and there was a reluctance in some quarters, which still lingers, to accept the reality of native title. More than two decades on from Mabo and its federal legislative response – the Native Title Act 1993 – the law has defined and often constrained the scope of native title, with dismay in some Indigenous groups as to what native title has not delivered. Is there still scope for native title to achieve positive change and empowerment for Indigenous groups? What are the key priorities if native title is to realise some of the hopes engendered by the Mabo decision? In 1966, the United Nations General Assembly adopted the International Covenant on Civil and Political Rights, and the International Covenant on Economic, Social and Cultural Rights. Since these two foundation covenants, the General Assembly has adopted seven further conventions dealing with race, discrimination against women, childrens’ rights, the prevention of torture, the rights of persons with disabilities, the plight of migrant workers and enforced disappearances. Each covenant and convention has an elected committee which monitors its implementation and operation in countries which have ratified it. This lecture will begin by unpacking and analysing these nine human rights treaties. The work of their committees in monitoring and in dealing with individual complaints will be explained. The April 2014 reforms by the General Assembly of the work of these committees will be examined. It will be argued that the nine human rights treaties cover many issues which arose in the last third of the previous Century. What new issues will arise for human rights in the early years of this new Century? Australia is unique among comparable legal systems in that it has very few constitutional or legislative protections for most human rights. This fragmented approach to human rights has produced a significant gap in legal protections placing some groups at risk. Of particular concern is the increasing use of executive discretion that is often not subject to judicial scrutiny. The abuse of executive powers arises in many contexts including: the introduction of new anti-terrorism laws; the administrative detention of those unfit to plead to criminal charges on the grounds of mental illness; the asylum seekers held under mandatory detention or judged by ASIO as a security risk; and the so called 'Bikie' laws. In light of this growing encroachment on fundamental rights and freedoms it is now time to reopen the public debate about a legislated form of human rights charter. "The Devils Triangle: civil liberty and the relationship between the law , the media and the parliament"
An independent legal system, a free press and an elected parliament are the basic institutions of democracy. Nevertheless at historical times of threat and fear both editorial opinion and public attitudes can easily turn against the fundamental values of justice that have been supported by lawyers and the law or centuries. "What were they thinking? 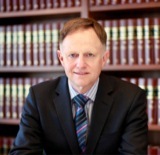 Statutory Interpretation and Parliamentary Intention"
Robert Shenton French was appointed Chief Justice of the High Court of Australia in September 2008. At the time of his appointment he was a judge of the Federal Court of Australia, having been appointed to that office in November 1986. He graduated from the University of Western Australia in science and law. He was admitted in 1972 and practised as a barrister and solicitor in Western Australia until 1983 when he went to the Western Australian Bar. From 1994 to 1998 he was President of the National Native Title Tribunal. At the time of his appointment he was an additional member of the Supreme Court of the Australian Capital Territory and a member of the Supreme Court of Fiji. He was also a Deputy President of the Australian Competition Tribunal and a part-time member of the Australian Law Reform Commission. 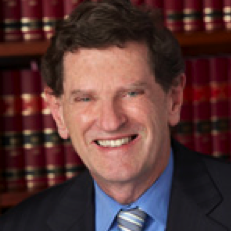 From 2001 to January 2005 he was president of the Australian Association of Constitutional Law. 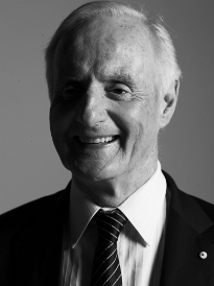 Chief Justice French was appointed a Companion in the General Division of the Order of Australia in 2010. "Good faith and Australian contract law: a practical issue or a question of theory and principle?" "Torture, Human Rights and the Rule of Law"
"Mental Health Law Reform in New South Wales"
Greg James has had a fine and distinguished career in the legal profession as a criminal barrister. He has been an Australian War Crimes Prosecutor and on the Criminal Trial and Appeal Counsel; he has served as a Supreme Court Judge, worked in the NSW Law Reform Commission and the Royal Commission, and been President of the NSW Mental Health Review Tribunal. "The Rule of Law in Blair's Britain"
"The post-September 11 'terrorist age' has presented real challenges to the rule of law," Mr Lunney said. "While we might be familiar, to some extent, with what is happening in Australia, it is very important and instructive to see what is happening in the United Kingdom. That legal system is the one from which we draw our roots, including our fundamental commitment to the rule of law, and so it is interesting to see how these challenges have been dealt with in the United Kingdom. It is clearly important for the general public, as well as academics, to gain a better understanding of how the rule of law is working in Australia in the post-September 11 era, and an awareness of what is happening in our closest 'neighbour' (in legal terms) adds to that understanding." "Rethinking the Separation of Powers"
2005 23 September - Official opening of the "Sir Frank Kitto Moot Court"
The President of the Court of Appeal of the Supreme Court of NSW, the Honourable Justice Keith Mason, A.C., officially opened the State's newest "moot" courtroom last Friday [23 September]. The courtroom, at The University of New England, is specially designed to allow UNE law students to "moot" (i.e., engage in hearings of hypothetical court cases). Justice Mason said the new Moot Court was as good as anything of its kind he had seen. "It's a tribute to the people who planned it," he said. Watched by the guests at the opening ceremony (including Armidale magistrate His Honour Michael Holmes, and Armidale Dumaresq Mayor Councillor Peter Ducat) Justice Mason unveiled a plaque, naming the courtroom the "Sir Frank Kitto Moot Court". Sir Frank Kitto, who died in Armidale in 1994, was a Justice of the High Court of Australia (1950-1970), Chancellor of The University of New England (1970-1981), and the inaugural Chairman of the Australian Press Council (1976-1982). Justice Mason reviewed some of Sir Frank Kitto's outstanding qualities as a judge, including his distinguished prose style, his "rigorous application of logic from established principles", and his "capacity to detect a fallacy at a hundred paces". "Human Rights" - The Australian and International Perspective. "The future of human rights"
"Kitto and the High Court of Australia – Change and Continuity"
"Equity and Contract – A Dance to the Music of Time"